GS Hitech Controls is proud to supply Metso Automated Ball, Butterfly, and Control Valve solutions. GS HItech Controls is Proud to Supply Flow and Mass Measurement Solutions offered by Krohne, Sierra, and idFlow. GS Hitech Controls is Proud to Supply Krohne Guided Wave and Non-Contact Radar Level Measurement Solutions. GS Hitech Controls supplies Analytical Instrumentation Solutions offered by Advanced Micro Instruments (AMI) , Krohne, and Barben. Incorporated in 1983, GS Hitech Controls is known for supplying First Class Engineered Products to major petroleum, petrochemical, municipal / utility, pulp and paper, and food processing companies. GS Hitech Controls has office and warehousing facilities in both Calgary and Edmonton, Alberta to provide timely delivery of products and services to our clients. Field sales of GS Hitech products are handled by our highly trained technical sales representatives, who are backed by a team of inside sales representatives, project coordinators and engineering staff. All sales staff are trained toward identifying and satisfying customer needs. Furthermore, all staff receive additional training on product applications, features, and benefits, both internally and at the factory level. 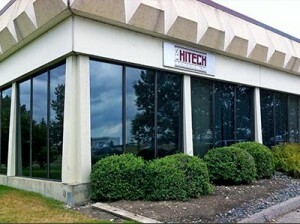 GS Hitech Controls’ also services what we sell. Service personnel are professionally trained to provide warranty and repair service on all products sold. These products are warranted not only by the manufacturers represented, but also locally by GS Hitech.